Hess’s life story in itself makes for fascinating reading and D. Eric Sturdy has interwoven a fictional aspect into Hess’s biography and created a plausible story involving Britain’s MI6, America’s CIA, the Soviet KGB and the foremost politicians of the day. Rudolf Hess’s parentage and family connections in Germany are well established, as is his involvement in World War I when he was seriously wounded and learnt to fly during the last months of the war. 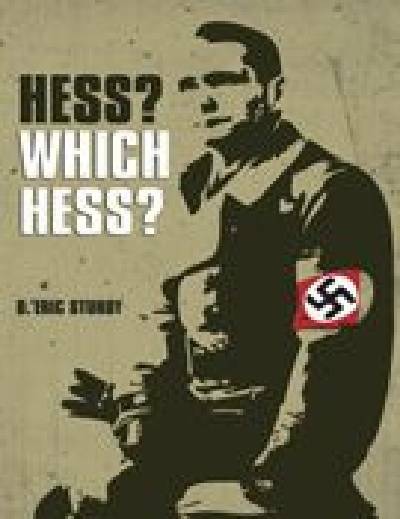 Hess’s enlistment and advancement in the Nazi Party after the 1918 armistice, and his promotion to become Adolf Hitler’s Deputy Führer in the 1930s, is again a matter of historical fact, and the Nazi hierarchy described in the book existed and worked with Hess. Likewise, after Hess’s peace-making flight to Britain on 10th May 1941, military personnel, doctors, politicians and MI6 agents were known to have been involved during his captivity at Mytchett Place in Aldershot and Maindiff Court in Abergavenny. In the late 1960s, American young people began a flirtation with mind-altering drugs, desperately evil drugs like LSD, then Angel Dust, and even heroin. We released a lot of demons in the Pandora-like 60s and some of them have never been placed back in the box. Here’s the story of one such drug and what it does to four people who take it, unaware that they will be altered forever.